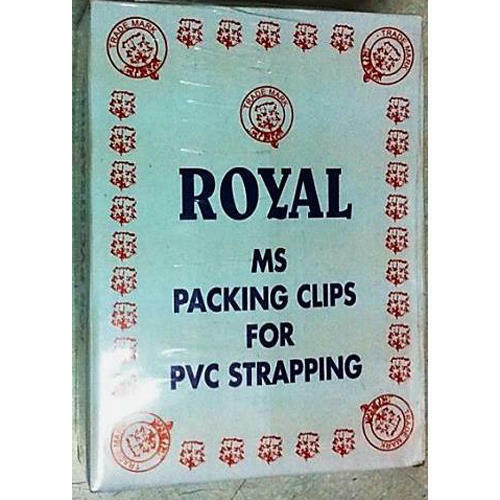 We are a popular organization engaged in offering ms tin Box Packing Clip to the clients. Our offered clips are manufactured by employing the most advanced technology. These clips are highly acclaimed by various industry clients in the market owing to their superior performance, negligible maintenance and easy usage. Taher & Co. Rangwala was founded in 1930 and is operating as a leading manufacturer, exporter and supplier of Industrial Pigments. Our range of products includes Ultramarine Blue Powder, Blue Liquid, Oxide Cement Colors. The offered products are regarded for their precise composition, resistance towards acids and longer shelf life. These find extensive usage in textiles, construction, paints, paper, ink and plastic industries. We have a massive infrastructural facility loaded with innovative technology machines for effective working of the organization. Our manufacturing facility is armed with sophisticated machines for formulating high-grade pigments. We source our inputs from reliable vendor base and check them for quality as well. Our methods of packaging are innovative and ensure safety of pigments and dyes over long distance transportation. We utilize various modes of transportation for enabling timely delivery of orders. Our clients are based across Indian Subcontinent, Middle East and Saudi Arabia. "We are looking for enqueries from Africa & Middle East Nations"